Denmark, Aarhus. Words that always stirs up great emotions. But what is all this fuss about Denmark? What is so special about this country? Last month I went with my family to Aarhus, Denmark to investigate. I was really keen to know more about the Scandinavian culture; their daily routines and lifestyle: that was my motivation. We chose not to visit the capital, Copenhagen. We wanted to experience the ‘Denmark of the Danish’, away from the usual tourist itinerary. On a 9-day journey, we went to the east and north of Jutland, including the cities of Aarhus, Aalburg, Blokhus, Skagen (the most northerly point of mainland Europe) and Billund (the capital of the children and Legoland). We arrived in Billund about 6:30 p.m. The sun was shining and we weren’t as tired as expected. To get through long hours spent on planes, we created music playlists on our tablets, uploaded some movies and also carried a few books and colouring pencils. Despite being a long trip, we made 2 stops, which allowed us to stretch our legs in Lisbon airport and go for a run in Oslo Airport when we had a very tight connection. Upon arrival to Billund we travelled 98 km to reach Aarhus. We could have rented a car but since we wanted to ride bikes in Aarhus, we took the bus. Note: There are daily buses with regular departures from the airport. Fares cost 180 dkk (24 €) and journey takes 1.5 hours. Day 2, 3 and 4 in Aarhus. Arriving in Aarhus was euphoric. The bus stopped right in front of the central station of Aarhus whose watchtower reminded us of the one in the movie “Back to the Future.” This was also our feeling. We definitely felt we were somewhere between the distant past and the future in Aarhus. 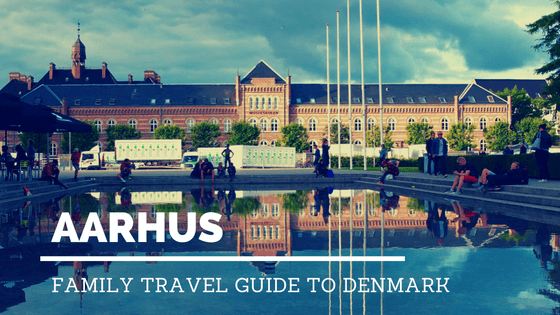 Note: You can rent your bike and take a guided visit to Aarhus courtesy of Cycling Aarhus. Aarhus has it all. Plus there are parks, forests, harbours and beaches. For me it was unexpected to find plenty of outdoor activities. The atmosphere was relaxed. There were barbecues and picnics happening in several parks and gardens of the city.Moreover, everything is just minutes away from the city center (by bike). I was also surprised with the engagement between people. You see, it is very common to see groups of people together, whether friends or family, all ages, from grandparents to babies. This was one of the main differences comparing with other European cities.People, in general, are also highly educated and friendly. Togetherness is for me the word that best describes the general ambience of Aarhus. There is a lot to discover in Aarhus. One area that I found very interesting is Aarhus Ø. This location is still under construction and is located by the sea. I was curiously told, that the development of this area has a purpose. They’re hoping to have a mixed population living there. From students lifestyle to luxury, there are incentives for all. Next to each building there are urban garden areas. The waiting list for these allotments is a long one apparently. This is also the location for the famous building ‘ The Iceberg’ designed by CEBRA, JDS, Search and Louis Paillard Architects. It is located right next to the ‘Strandbaren´, a summer pop up beach bar , complete with beach volleyball courts. Mejlgade was another favorite of mine in Aarhus. This street is located in the old town and was converted into a street where you can only walk or take your bike. In addition to its many unique shops, there is also an infinitude of cafes and restaurants. The ‘Latin Quarter’ is a typical scandinavian scenario with a chic environment in Aarhus. Stores go from internationally renowned brands to Danish design and workshops of local artisans. This city is known for being the best across Scandinavia to shop. Stroll through Møllestien, considered the most beautiful street in Aarhus! This romantic street has tiny colourful houses – a small village from 1870-1880. 1. In ARoS Art Museum you can walk on a circular glass path of 150 meters designed by Icelandic-Danish artist Olafur Elias. It is called ‘Your rainbow panorama’ in Aarhus. It was amazing to ‘dive’ into the surrounding city, following the rainbow colours. It seemed to me that I was flying over the city and that we were part of the scenario as an eagle flying high in the sky. As for the colours … all that theory in which colours influence our emotions is correct. Warm colors like orange and yellow bring us happiness, blue and violet bring us peace. These emotions were felt as we could walk through them in this structure. 2. Nearby the port is Dokk1, the library of the city designed by SHL Architects. This building is impressive and has probably the most spectacular library playground in the world. Kids loved it! 3. The Moesgaard Museum is also wonderful example of the rich architecture of Aarhus with its sloping rooftop covered with grass, designed by Henning Larsen Architects. The whole experience at the museum is fantastic, lights, sounds, animation, interactivity – awesome! It currently displays a special exhibition about the Gladiators of the Roman Colosseum, a three-dimensional scene. Another great feature offered by this museum is the opportunity to see one of the best-preserved bodies of the story “The Grauballe Man”. This man’s body dates from the third century A.C.! It was found in a Danish bog in 1952. It is impressively well-preserved. I even got goose bumps just from looking at his body, hair and face. It is believed that he was killed with a cut in the neck. You can also go up and down a staircase that leads us across our prehistoric family. This Museum has created a unique collection of seven copies of the human species. From Lucy with 3.2 million years old, found in Ethiopia, to Koelbjerg woman who lived in the Stone Age. These examples were generated according to bones found all over the world. It also has a great restaurant with good prices and if the temperature allows you can also have an outdoor meal. 4. If you want to return to the past, you can always visit the old city in Den Gamle By – The Old Town Museum in Aarhus. Houses and historic districts are decorated according to the era, from the eighteenth to the twentieth century. There is also a team of people who dress up and act out life in those days. You will find a toy museum where there is everything from the first video games to the barbie dolls of my childhood. There are several restaurants, an old pastry, a 1974 clinic, a hairdresser, a jazz bar, a nursery, a library, and an amusement park in the garden. There are also several picnic areas. We had lunch in Traktorstedet Simonsen Garden, a restaurant with a cozy patio – beautiful. Here we tasted the typical sandwiches of Denmark: “smørrebrød”. These are made with dark bread and you can choose different types of fillings from vegetables, cheese and cold meats. 5. Right next to Den Gamle By is the Botanical Garden. (€ Free) A green and peaceful oasis with lakes, trees – an invitation to relax. Inside the greenhouses there is a fabulous collection of plants from all continents and a colony of beautiful butterflies flying freely around us. 6. Aarhus Street Food Market. This market is right next to Dokk1, which I mentioned to you in point 2. It is a covered market with wooden tables and food from around the world, Vietnamese “Banh Mi”, Italian pizzas, Mexican burritos, ‘fish & chips’ English, crepes and wine . Foodies cannot miss this place, moreover it has a great environment. People of all ages share the table and one of the greatest pleasures of life – good food. In 2017, Aarhus will be the European Capital of Culture. It is expected a year full of events, new experiences and collaborations. The theme is rethinking. That’s the mentality – creating an open city to rethink the way we live. And so it was, seeing the future while returning to the past, that we said goodbye to this magnificent city. Aarhus is a city that makes us revive the past, envision the future, embrace the benefits of sustainability and rethink the world we want to leave for our children. A future of togetherness, outdoor meals and bike rides through the city, forest, parks and beaches. A future of respect for the environment, made of rainbow colours, movement and a constant search for cultural enrichment that makes us open our horizons and rethink life. That’s Aarhus. Luxury Hotel: Radisson Blu Scandinavia Hotel Aarhus. This hotel is perfectly located besides the Aros Art Museum. Although it’s located right in the heart of the city, it is very quiet. The family room is spacious and cozy. The two bedrooms are divided by a glass door and each room has a window, a bathroom and a huge flat screen TV. The beds are super confortable! It has a nice buffet breakfast and dinner offers include a children’s menu with colouring activities. The food is delicious and the hotel’s staff is professional and friendly. Highly reccomended. Book it here. Here's a video from the hotel. Cabinn Aarhus is good budget hotel. Afordable, clean and great location. Ritz Hotel has a great location. In Aarhus, restaurants and cafes have high gastronomic standards. In every corner you will find gourmet food, organic, creative and high quality food. In addition to organic farming being required by law, the fact that there are three restaurants awarded with a Michelin star is also a good sign of how food is valued here. The Nordic kitchen includes mostly fish and vegetables. You will also find organic bakeries and the “smørrebrød” typical Nordic sandwiches. Find out what the philosophy behind good coffee is in GreatCoffee! This is my kind of place;). Salling, Magasin and Bruun’s gallery. Yes, I found Denmark more expensive that the average countries of southern Europe still not as expensive as I was expecting. Kids go free! in these museums as well as in public transportation! We took a flight from Funchal Airport to Billund Airport. We made two stops, one in Lisbon and one in Oslo, Norway. We traveled with TAP, Lufthansa and SAS. The flights were all great and on time! There are also direct flights from Funchal to Denmark. Check the site. I would like to thank visitAarhus and visitDenmark for supporting this amazing trip. TAK! 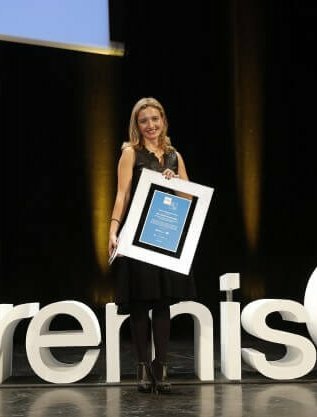 Ao ano passado fomos os três, conhecer a Dinamarca, havia muita expectativa, por várias razões, mas uma seríe dinamarquesa “Borgen” que correu na RTP2 foi o click, e também tinha curiosidade de conhecer a Legoland, do lego com que tanto brinquei durante a infância. Esta é a terra dos Vikings que se tornaram os mais civilizados, tolerantes e felizes da Europa. Não é um destino barato, uma viagem de metro pode custar entre 5-8 euros, um café 3 euros. Ficou por visitar Arthus, Odense (terra de Hans Christian Andersen) e outros tantos lugares para descobrir, razões de sobra para voltar. More about organic farming in Denmark: While organic produce is very popular in Denmark – and of the highest standard I have seen anywhere – it is not required by law to produce everything organically. Producers can get a state-approved certificate however, if they stick to some general guidelines and inspections. The criteria are a bit tougher than the EU organic farming certification. The Danish organic farming certificate can be recognized by a red Ø and you can find it in any store. When restaurants are using organic produce, they use the same symbol, but sometimes coloured in silver or gold, depending on how much is organic. Gold is more than 90% I think. Came to see your pictures, thank you for sharing. Hi, thank you so much for your comment and sharing that info about organic farming. I was told that it was required by law but thanks to you comment I was able to understand the guidelines better. Amazing info. Thank you!